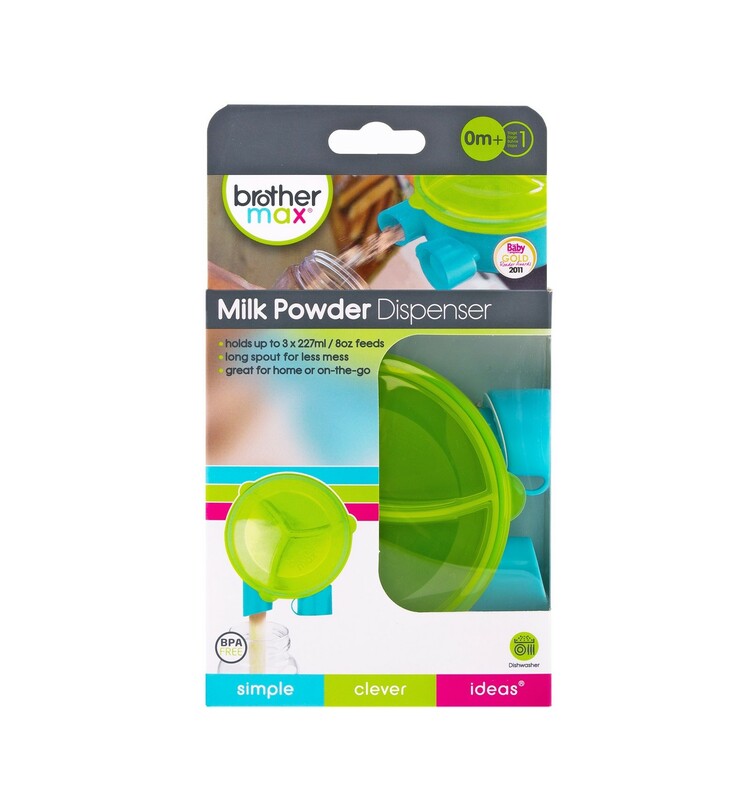 The Brother Max Milk Powder Dispenser holds up to 3 x 227ml / 8 oz feeds for accurate bottle preparation on-the-go. 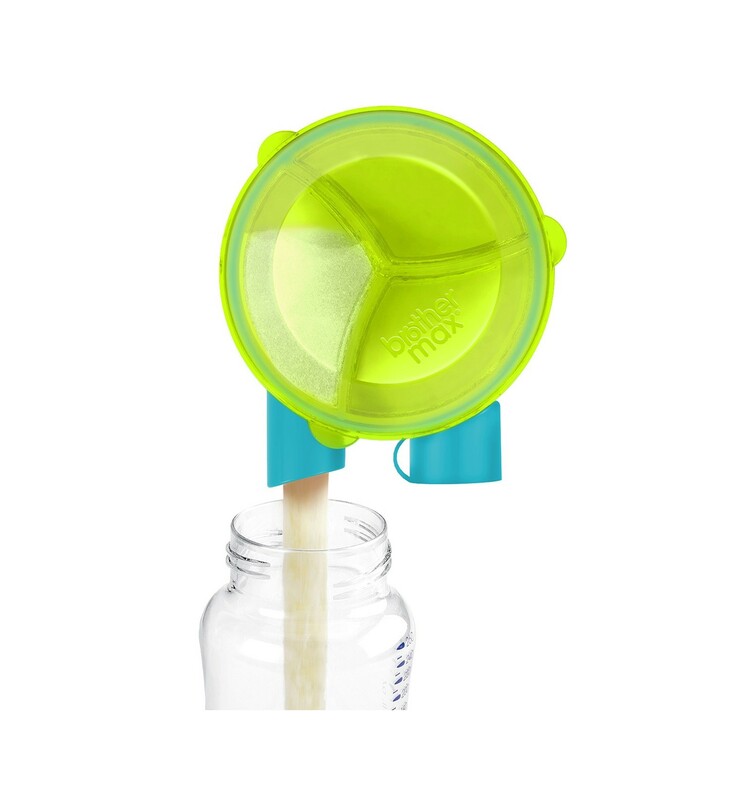 It’s perfect for a day’s feeding and comes with a long spout for less mess, it fits any bottle. 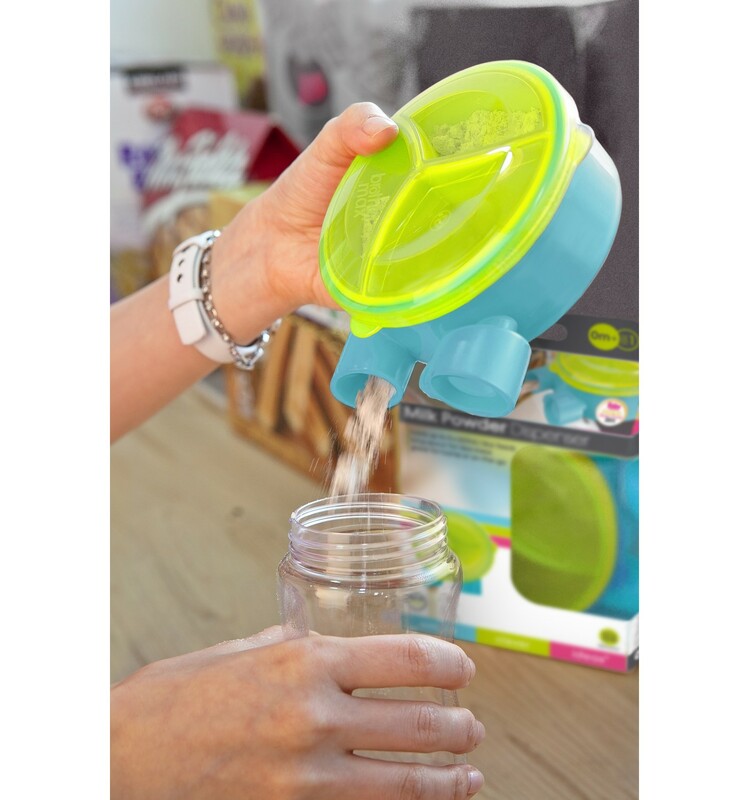 It comes apart for easy cleaning and turns on side so no powder comes out, for less mess & spills. The ‘click’ system ensures increased accuracy. Filling most dispensers can be messy and inaccurate, but the Brother Max dispenser comes with a funnel making it easier to use. 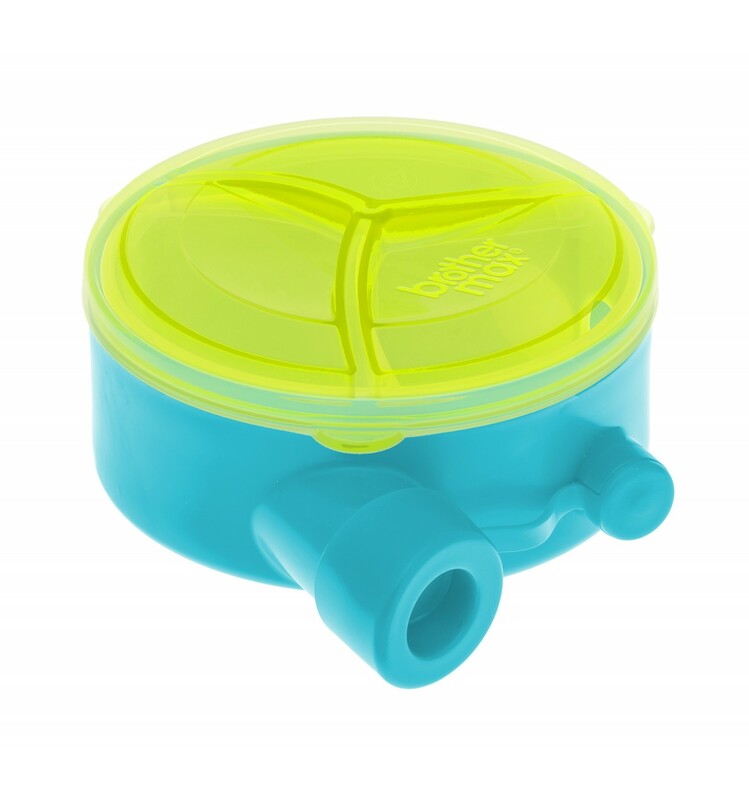 When turning most dispensers upside down the result is some powder can get left behind, so Brother Max designed theirs to be emptied by turning on its side so the only place for the powder to go is out.